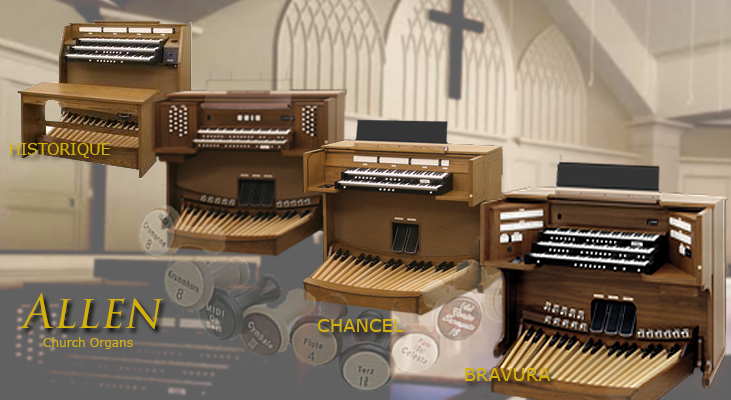 Which Allen Organ is Right for my Church? Choosing an organ can be a daunting task - especially if you're not familiar with how organs are built. 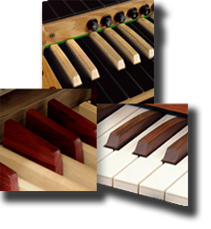 Allen organs are built to a higher standard than our competitors. This makes it easy to compare and feel confident in your choice whether it's for your home or institution. Allen builds a variety of models to suit every worship need from the smallest chapel to the most grandiose of cathedrals, Allen covers it all. Allen offers many choices for the organist who want to practice at home. Every AGO classical console since 2017 features divided expression, crescendos pedal, and a full complement of presets. Where space is an issue, Allen offers three Historique models and the CF-4 all small enough to fit most spaces.